Over the past few decades, children are engaging less in unstructured games and free play and more in organized sports. Parents should carefully consider how being involved in sports will affect their children, especially when their children are young. While participation in organized sports has both social and physical benefits for young children, concerns about safety and benefits increase as participants get younger, according to the American Academy of Pediatrics. Though most children are naturally inclined to be physically active, not all kids are self-motivated to get up and move. In the UMPC newsletter “Pros and Cons of Youth Sports Participation,” soccer coach Joseph Luxbacher says that participation in organized sports introduces structure and direction to children's physical activity. Following a team schedule gives kids a set time and place to exercise. Kids are also given opportunities to learn how to engage in physical activities safely through participating in sports. Participating in organized sports gives children time to interact with other kids and learn important social skills such as working cooperatively with others and showing good sportsmanship. For young children who may still be very egocentric, participating in team sports teaches them to think about the group as a whole and encourages them to be happy for the success of their teammates. Kids can also benefit from spending time with their coach and having a chance to develop a positive relationship with an adult other than their parents, especially if the coach is both skilled and dedicated to being a positive mentor. Though it can come from many different sources - - parents, coaches, teammates or themselves - - many children involved in organized sports feel pressured to succeed. While a little stress can be beneficial because it can heighten alertness and lead children to perform with increased focus, strength and stamina, too much stress can leave young kids burnt out, according to KidsHealth.org experts in the article “Competitive Sports: Helping Kids Play it Cool.” Young children who participate in sports can be exposed to too much organization, which may hinder development of other important skills such as decision making and problem solving. 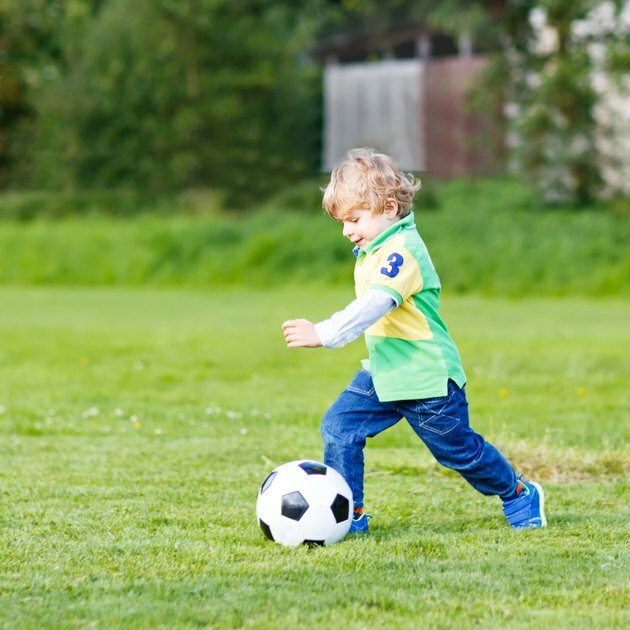 Though coaches and parents urge kids to perform skills accurately, most young children won't develop basic motor skills such as kicking and throwing sooner because they have been exposed to them at an earlier age. In the publication “Organized Sports for Children and Preadolescents,” the American Academy of Pediatrics suggests that young children can experience feelings of frustration and failure if the demands a sport places on them are above their level of physical and cognitive development. Young children's self-esteem can also be affected when measures including trophies and tournaments are associated with involvement in sports.